Heart health is among the most important factors to an individual's physical well-being. Heart disease is the leading cause of death nationally in adults, and everyone should know its risks factors, as well as how to promote good heart health overall. There's no better time to take such steps than now: February is American Heart Month. Observed every second month of the year, American Heart Month represents a critical time for raising awareness of preventative actions and healthy lifestyle choices that lead to better heart health. Responsible for 1 in every 4 deaths, heart disease is a subject that needs to be addressed. Take the time to recognize symptoms and brush up on how to make better decisions for your heart. You can start by learn more about American Heart Month. February has been designated American Heart Month since 1964. President Lyndon B. Johnson made the observance official with Proclamation 3566, signed Dec. 30, 1963, according to the American Heart Association. 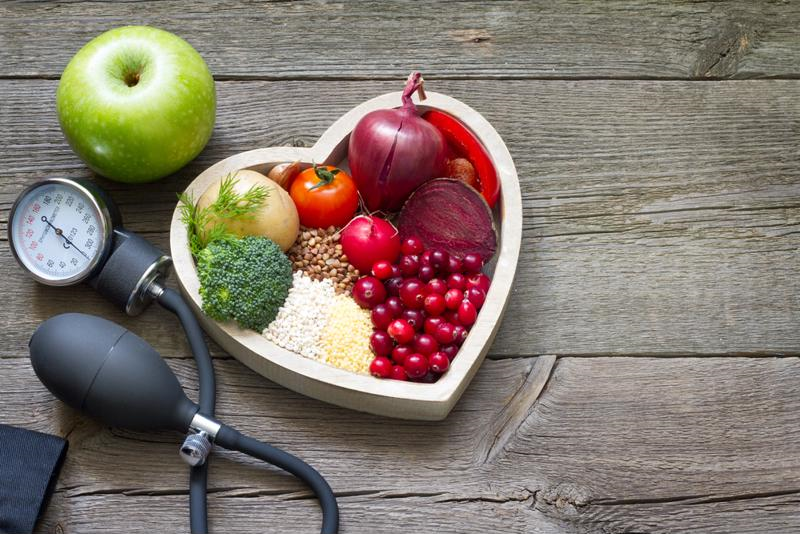 Since that time (when half of U.S. adult deaths were due to cardiovascular disease), advocates have launched efforts to educate the public on how heart disease can be prevented and identified. A key date in American Heart Month is the first Friday of February. While that date this year (Feb. 2) has already passed, what's known as Wear Red Day is a highlight for every American Heart Month. As implied, people across the country wear the color red to raise awareness of heart disease and prevention; it's a chance to engage with communities, families and friends on the basics of good heart health. In 2018, the National Heart, Lung and Blood Institute (NHLBI) announced a social media campaign to inspire Americans to "#MoveWithHeart." A general resolution to get more physical activity done each day, NHLBI recommended participants record a short video of their #MoveWithHeart pledge and share it across their social networks to reach others about the importance of heart health. Eat healthy to reduce your risk of heart disease. American Heart Month is such a valuable time to conduct outreach about heart disease because of the scale of its lethality. According to statistics from the Centers for Disease Control and Prevention (CDC), nearly 630,000 Americans die each year from heart disease, making it the No. 1 killer of both men and women. Each minute, more than one person in the U.S. dies from a heart disease-related event, while every 40 seconds an American experiences a heart attack. While there are many types of cardiovascular disease (including congenital heart disease, arrhythmia and high blood pressure), coronary heart disease is the most common, responsible for around 366,000 deaths in 2015. It's also worth noting the demographic effect of heart disease, which is the leading cause of death in African-Americans, Latinos and whites. Altogether, the CDC estimated heart disease costs the United States around $200 billion annually. The sum of health care costs, medications and lost productivity results in a huge net financial impact to the country, not to mention the social toll. Diets with poor nutrition and high in trans fats. It's just as vital to know what symptoms indicate a cardiac event. Being able to identify warning signs means being able to act more quickly and effectively, which is crucial when time is of the essence. While chest pains and discomfort are clear red flags, the CDC noted most people aren't aware of all the major symptoms, like shortness of breath, nausea, cold sweats, and upper body pain and discomfort in the arms, back, neck, jaw or stomach. "Small steps to improve lifestyle choices add up." Cut down on takeout; shop for groceries more: It can be easy to fall into a rut of eating out often. Grocery shopping takes time, and the cooking afterward can be even more time-consuming. But that's no reason to rely on unhealthy and fatty fast food to constitute the majority of your diet. Grocery shopping itself is an exercise in taking more control over your life, and finding quick and easy recipes can make the process all the more enjoyable. Focus on the food groups by getting plenty of vegetables, fruits, and healthy proteins and grains. Walk whenever and wherever you can: If you have the option to walk somewhere, always consider it as your first choice. Getting your steps in each day goes a long way toward improving heart health. Even if you have to drive to work, think about parking further away. Even a quick walk around the block is better than nothing; avoid being sedentary at all costs if you can. Schedule an appointment with a doctor: There's no harm in knowing what risk you're at of developing heart disease. When you have the clarity that a doctor can provide, it's easy to identify ways to live a more healthy lifestyle. Though it can be scary, there's no substitute for a medical professional's expertise and advice. Quitting smoking: Ask anyone who's tried to quit smoking before on their experiences and it's understandable how difficult the task can be. However, it's massively important to heart health that smoking is taken out of the equation. If ready to quit, get in contact with an expert, join a support group and research treatment options and alternative products (like nicotine gum). Any progress made in quitting smoking is good progress. Losing weight: An ask as challenging as the one above, losing weight can have a marked effect on heart health. It starts with small steps like fitting in small amounts of exercise and building up, as well as eating better and reducing unhealthy habits. It may be a long road to embark on, but shedding pounds also sheds risk of heart disease. Take the time today to learn more about American Heart Month and how you can lead a more heart-healthy life.